WASHINGTON (CNS) — Stories from the lived experience of the speakers took the place of policy discussions during Georgetown University’s first “Lives Worthy of Respect” conference Oct. 2. 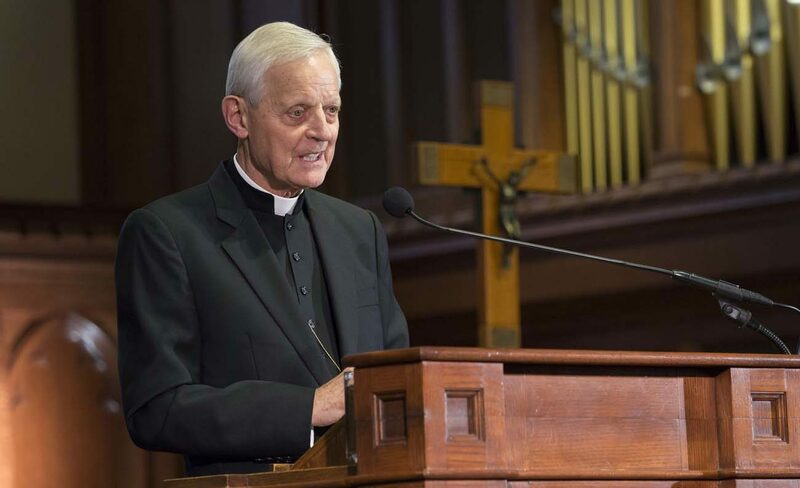 “Today, many accept the premise — advanced in the media, public schools and even civil law — that the value of human life is relative, and that people have the power to choose which lives are worth living and which are not,” Cardinal Wuerl said in his address. Panelists included U.S. Rep. Brad Wenstrup, R-Ohio, who a Cincinnati Republican, who has introduced bipartisan legislation opposing physician-assisted suicide. He is working to strike down the Death With Dignity law enacted by the District of Columbia in December. He said the 1973 Roe v. Wade decision, legalizing abortion on demand, made him feel like he “had been hit in the face by a two by four,” because it came just months after his first child had been born, and he remembered his wife telling him how their baby would move or kick during her pregnancy. Sister Mary Louise Wessell, a Sister of St. Joseph, said she sees the dignity of life in the “resilience, the strength, the courage and the hard work of homeless families” with whom she works. She the founder and program manager for the Tenants Empowerment Network of Catholic Charities in the Archdiocese of Washington. “You would have no doubt that each homeless child and parent in this city has a God-given life worthy of respect if you could spend a day with them, witness their dignity in the face of adversity and their determination to make lives better for their families,” said Sister Wessell. Gathering cloud of broken promises by the assisted suicide lobby equals false public advertising that will be publicly prosecuted.